Rep. Blake Farenthold, R-Texas, says he promises to pay back taxpayers for funds from a special congressional account he used to pay a harassment settlement back in 2013. Farenthold told NBC affiliate KRIS6 in Corpus Christi that he "didn't do anything wrong" but would "do my best" to repay the settlement fee sometime this week, this time taking out a personal loan instead. "Even though I was completely exonerated by OCE, and the settlement agreement has been paid. I'm doing my best and am going to hand a check over this week to probably Speaker Ryan or somebody and say look here's the amount of my settlement, give it back to the taxpayers," said Farenthold. He added, "I also don't want the tax payers to be on the hook for this. And I want to be able to talk about it and fix the system, without people saying 'Blake you've benefited from the system you don't have the right to talk about it and fix it.'" Farenthold is the only sitting House member since 2013 to have used the congressional Office of Compliance account to pay for a sexual harassment claim, in which $84,000 was paid out, CBS News confirmed Friday. The House Administration Committee revealed Friday that only one sexual harassment claim has been paid through the taxpayer-funded account since 2013. Politico was the first to identify Farenthold as the lawmaker who was accused. The information was disclosed as part of the panel's investigation into details of settlements and awards from the Office of Compliance. 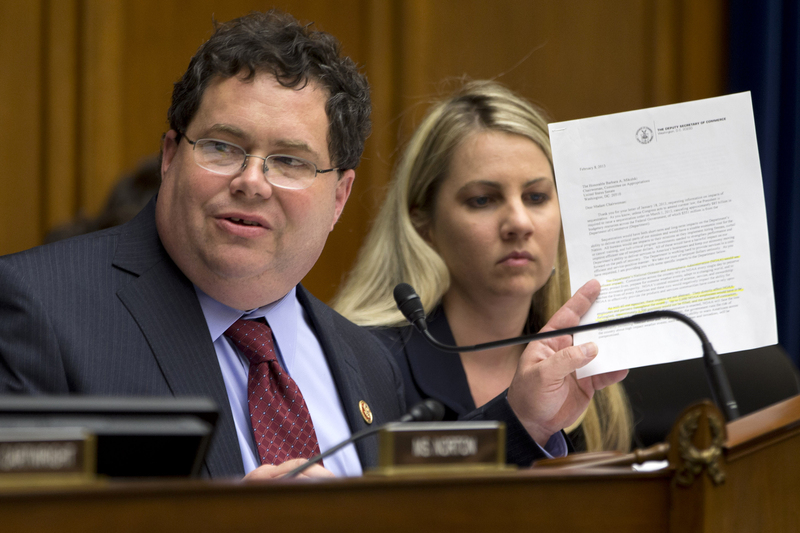 According to Politico, Farenthold's former communications director, Lauren Greene, sued her boss in December 2014 over allegations of sexual harassment, gender discrimination and creating a hostile work environment. At the time of the settlement, Greene's attorney, Les Alderman, confirmed in a statement that both parties had reached a deal to save taxpayer dollars. The revelations came amid allegations of harassment leveled against lawmakers, including Sen. Al Franken, D-Minnesota and Rep. John Conyers, D-Michigan, as well as growing calls to reform the process of reporting any allegations of such misconduct. CBS News' Rebecca Shabad contributed to this report.